New Pioneer hardware may look like other offerings – but there are some twists on controller mappings, and velocity-sensitive pads. You also get an impressive integrated 4-channel mixer. 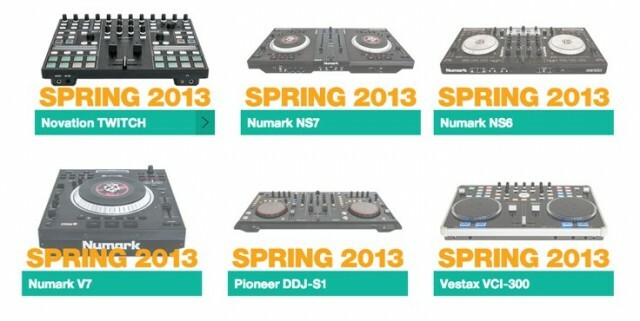 The bad news: without this gear, you aren’t running Serato DJ until at least spring of 2013. The story around digital DJing increasingly seems to be controllers built around specific software. As Native Instruments pushes their Kontrol line for Traktor Pro, Serato has rebooted both their software and their hardware approach. Serato DJ is the new generation of Serato software, with some much-requested features making their way to the tool. But whereas Native’s software (and other DJ options) work with any hardware, you’ll need specific hardware to use Serato. 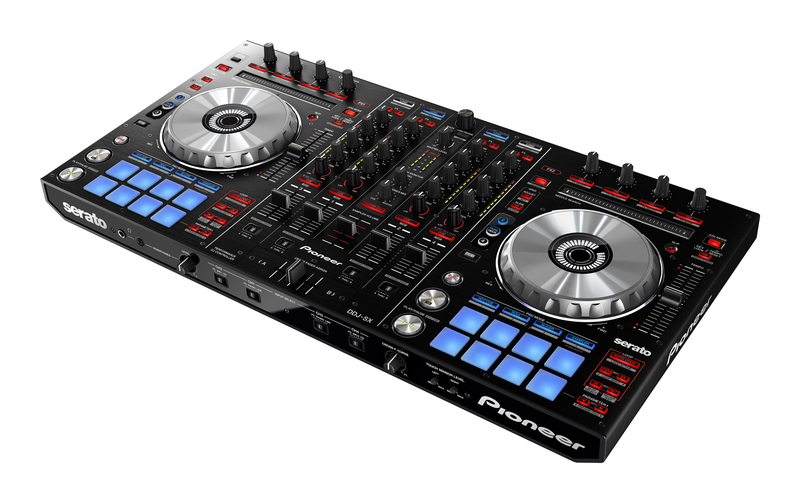 Initially with Serato DJ, that means the new Pioneer DDJ-SX; even users of existing ITCH hardware will need to wait until 2013 for support in the form of a free upgrade. In the meantime, Serato is delivering on some new functionality, and with Pioneer, some clever hardware features – and it’s a good time to talk about video. Serato DJ has a brand-new look, visually and functionally new, and it … uh … okay, actually, we don’t know what it looks like, as Serato says the user interface isn’t quite ready for us to see. We do know what functionality will be in the software, though, and it looks like Serato users are getting some of the functionality that might have made them jealous in rival tools like Traktor (once you have the hardware to support it, that is). New effects, powered by iZotope: Delay, Echo, Ping Pong Delay, Reverb, Phaser, Flanger, Distortion, HPF, LPF and a Combo HPF/LPF. (None of the more exotic effects in Traktor, but iZotope’s stuff sounds great. MIDI mapping: The good news: you can now map a second MIDI controller to Serato’s features. The bad news: you still have to connect one of their approved controllers as the primary controller, making these a really big dongle for the DJ software. BPM-based automatic loop points, plus manual looping. Up to four-deck mixing on supported controllers. Library support for Scratch Live, ITCH, DJ Intro (for users with the beginner-level software), and your library in iTunes. Talk to Serato’s users, and “features” isn’t what you’ll here. With Serato DJ, the marketing emphasis remains on plug-and-play, “it just works” operation. Of course, whether Serato DJ delivers on Serato’s promise of plug-and-play support is something we have to test when it ships. Hardware flexibility remains a stumbling block, however. As Native Instruments users complain about even subtle details like whether Remix Decks are fully-supported over MIDI, Serato will actually refuse to run without connecting supported hardware. It’s nice to see MIDI mapping for your own gear – that’ll allow you to supplement your Serato hardware with your own controller of choice – but you still have to use big, clunky approved hardware. And with Serato DJ, things get worse before they get better. 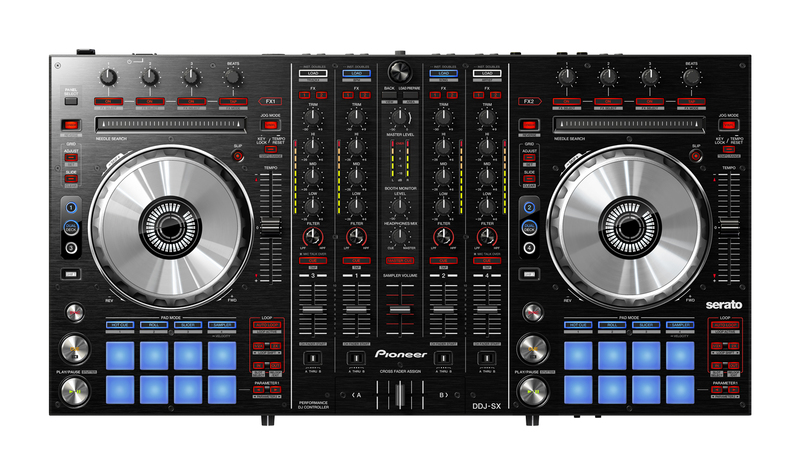 There’s slick, new Pioneer hardware – see below – but ITCH users are in a period of transition. ITCH software, says Serato, will continue to get bugfixes, but otherwise, ITCH is replaced by Serato DJ. And people who invested in ITCH hardware won’t get Serato DJ support until early next year. That’s the bad news, anyway – unless you’re in the market for this new Pioneer shiny. On the good news side, the upgrade will be free. So, you’ll have to wait – but you won’t have to pay. It seems like Serato and Pioneer wanted to get this hardware in by the Christmas buying season. Eeesh. But at least it’ll be free – and Serato promises bugfixes in the meantime. So, if you’re happy with ITCH and Serato now, feel free to ignore this article. To me, some of the innovation on the Serato side that you can get right away has come in the form of integrated video support, enabling complete audiovisual sets. (In fact, I’d love to see more when I go out – I don’t know what to say to clubs, other than… buy projectors?) There’s not one, but two solutions here. One isn’t even from Serato: MixEmergency is a superb third-party plug-in. The other is Serato’s own video product, which was recently updated. Peformance Pad Section: 8 pads control Cue Points, Loop Rolls, Slicer and the SP-6. Now, on the surface, this looks like what we’ve seen on NI hardware and Novation’s Twitch. But here’s something new: these pads are velocity-sensitive, more like drum pads. In Velocity Mode, you can now trigger velocity-sensitive SP-6 Sample Player slots – a nice touch. Dual Deck Mode links software deck layers together. Touch-sensitive, illuminated platters, jog wheel display. Four-channel standalone hardware mixing, with four channels of connected CDJs, turntables. This lines up with the new NI 2+2 mixer — but, of course, with four channels. Slip mode: resets position after you’re done so that after triggering cue points, the track stays in time. (Again, we’ve seen NI go in a similar direction. On-the-fly slicing, triggered by the pads. Bundled Serato DJ, and with the first 10,000 units, Serato Video. It’s subtle, but there are some unique twists Serato is bringing to the table. Slicing up samples on the fly and being able to trigger them from velocity-sensitive pads is nice, having a 4-channel mixer integrated is very nice, and some of the control mappings are clever. I’d say it’s a horse race – but Serato is a tease here, as we wait on final software release. Since we can’t look at the software, let’s ogle the hardware. Pioneer product images courtesy Serato. DJ TechTools has their own analysis of the new hardware, and gets the scoop on pricing – US$1,199. (No European pricing yet.) With Serato Video initially included and both software and four-channel mixer controller hardware, that seems competitive, at least.